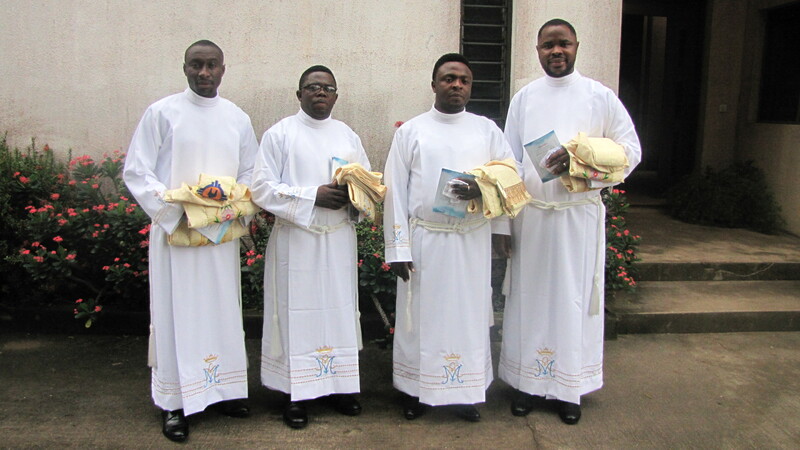 All roads led to the Schoenstatt Fathers Community at Ijokodo, Ibadan, Nigeria, on the 22nd of September 2018 as four members of the course, Apostles of the Covenant of Love, were raised to the transitional diaconate. 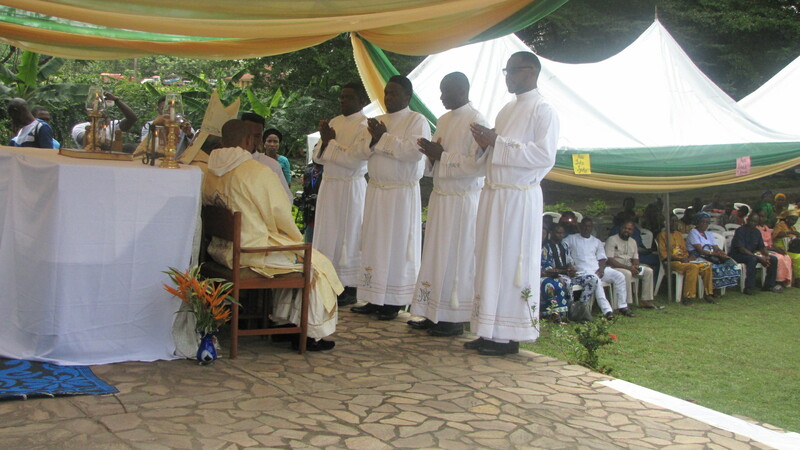 This diaconate ordination is a precursor to their priestly ordination, which is slated to be in May 2019. In 2019, the Nigerian Community will be celebrating fifteen years of the Shrine in Nigeria. 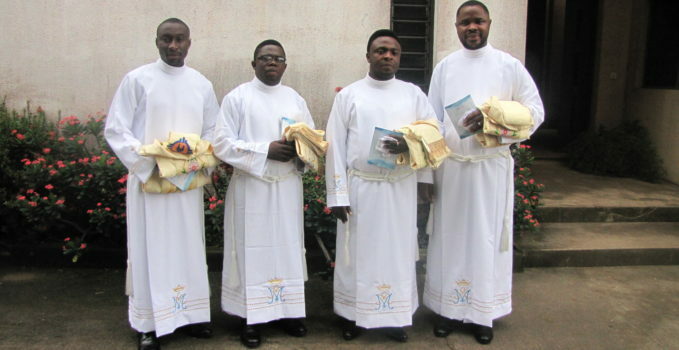 This same priestly ordination in 2019 will bring the number of Nigerian Schoenstatt Fathers to twenty-nine. 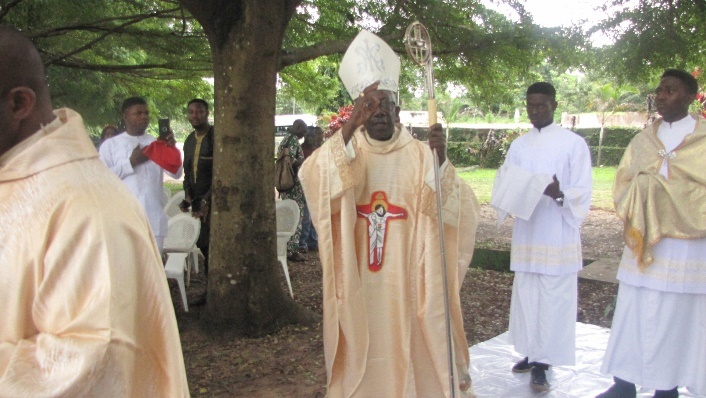 The ordaining prelate of this diaconate ordination was the Emeritus Archbishop of the Catholic Archdiocese of Ibadan, Nigeria, the Most. Rev. Felix Alaba Job. The four diaconal candidates were: Bros. Christian Dansuma, John Paul Iyoke, Jude Eze and Patrick Ugwoke. 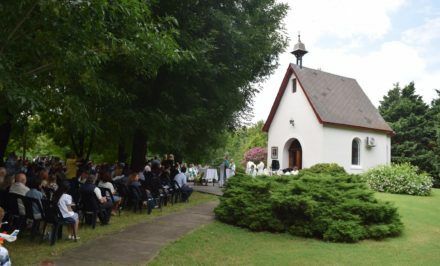 The ordination event was held in the community and was attended by the ordinands’ parents, family members, friends and well-wishers of the community. At the Mass, during the homily, the Bishop told the deacons that they are bound to pray for themselves and for others. 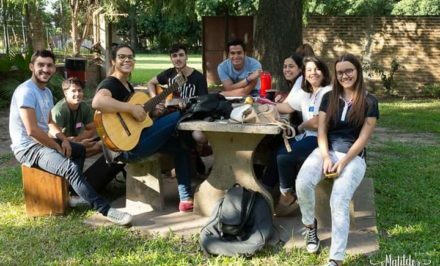 They have the responsibility to faithfully teach God’s word, baptize, bless and distribute the Eucharist. 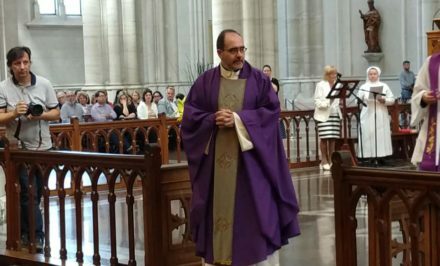 He further exhorted the deacons to be faithful to their evangelical counsels, the rules and regulations of the Church and their community, their responsibilities, and especially to their prayer life, especially the breviary. 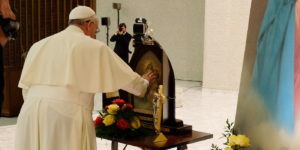 He said, “As you do the work of God, never forget the God of the work.” Hence there is the need for Eucharistic adoration, prayer, meditation and daily resignation to the will of God. To the lay faithful, the Bishop charged them to pray for these men of God now and never allow themselves to be used by the devil to make any one of them become unfaithful to the evangelical counsels. At about 11:50 am, these brothers were raised to the order of the diaconate. 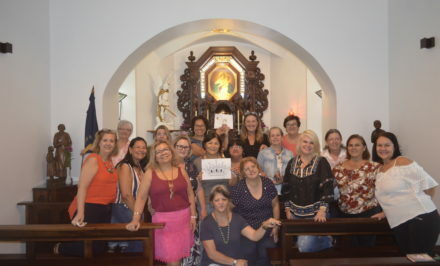 The Mass began and ended with joyful rejoicing. Present were Frs. 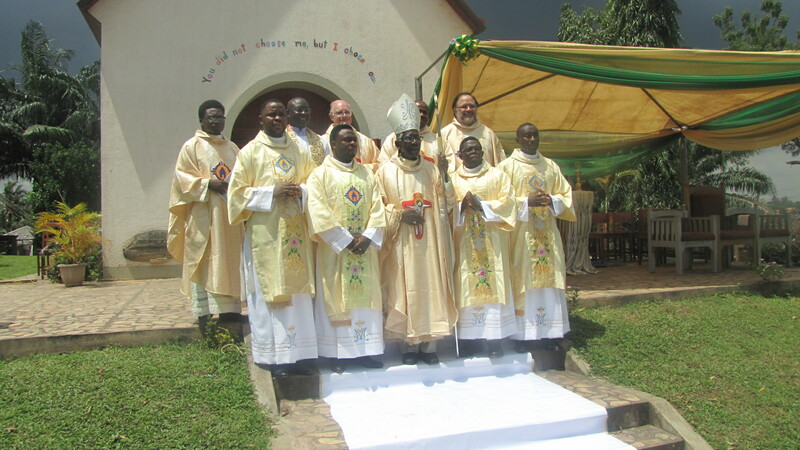 Juan Pablo Catoggio (Pater Familias, General Superior), Tommy Nin Mitchell (Regional Superior), Kingsley Okereke (Superior Delegate), Charles Ozioko (Rector of Students), Herbert Opara (Novice Master), Jean Bernard (Superior of the community in Burundi), many other priests from within Nigeria, friends, family members, and well-wishers.